APIs (application programming interfaces) are a hot topic in healthcare these days. 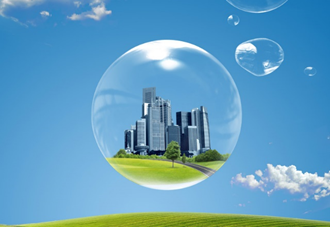 In the parlance of the moment – interest inside the health IT (HIT) bubble is strong. During the past few months, I stepped outside this bubble and talked to key stakeholders to learn more about their expectations for open APIs and healthcare app stores. This research was conducted as part of a multi-vendor sponsored research (MVSR) project, underwritten by Cerner, InterSystems, Orion Health, and PokitDok. The project involved a set of interviews with organizations across the healthcare landscape. It gathered ideas, thoughts, and impressions on the opportunities and challenges represented by APIs – from the perspective of the people who will actually be at the front lines using them. The MVSR report, available here, indicates significant enthusiasm for wider availability of APIs that make it easier to develop more accessible systems of record and more responsive and innovative systems of engagement. New care models – Most see APIs as a tool to speed the creation of new applications and extension to existing applications to support successful new care models. In fact, new care models and better applications will reinforce each other as the industry moves away from FFS care. Better distribution of expertise – Mindful that not all clinicians can know everything, many are looking to API-based access to data and functionality, together with advanced analytics and machine learning, as a way to enhance clinician expertise at the point-of-care. APIs can help reduce the time needed to make the correct diagnosis and devise effective treatment strategies. Improved EHRs – Every physician we talked to shares a strong desire to improve how EHRs support front-line clinicians. They mostly believe that the immaturity of EHRs can be mitigated by wider availability of APIs. From a functional, UX, and process standpoint, more responsive EHRs could contribute to increased job satisfaction for stressed clinicians. Technology-enabled process change – HCOs arere-evaluating the effectiveness of a range of clinical and non-clinical processes. While technology may not be the first tool they may reach for, there is a strong expectation that APIs can help. How APIs will Enter the Mainstream – Peopleexpect large HCOs and HIT vendors to lead. No one is discounting the potential contribution of new entrants with good ideas. The reality is that most HCOs will not invest in unproven technology. Large AMCs in particular are beginning to establish API programs and app stores. Large vendors are also formulating plans to support API programs for their HCO customers. APIs will open up opportunities for innovation in HIT. Clinicians and other healthcare users expect that the API revolution that is occurring in consumer applications and other industries will begin happening in healthcare. While it will take time, this new report puts some weight behind the idea that healthcare stakeholders see APIs as a way to hasten what most regard as inevitable – better applications for HCO users and patients. All fantastic points. However being Open is not enough. The API must also be universal — standards — to scale. Without standards no way to reuse applications in more than one place. Without standards applications need to develop translations. Translation is fragile, lossy, and slow. FHIR will be part of making the APIs universal, or at least that is the promise. But your point is well made. The problem of translation from one representation to another dogs healthcare in a way that not other industry experiences. FHIR will help but probably not be entirely universal. We still a few hurdles with APIs. How do I locate an endpoint? How do I find a patient? Do I need to broadcast out to all the endpoints to find a patient? APIs are not a panacea. A number of consequential discovery-related challenges have to be overcome. If you know where stuff is, APIs make doing things easy. I thinks it helps somewhat that most healthcare is local. Snowbirds in Boca in January are a problem but still the exception.